Which group Tangeers or TNJ's, perhaps he had a sister. TNJs of course. Think yer clutching at straws mate personally. I’ve yet to see a link even if there was and what links have been given seem a little far fetched. Maybe but I can't find anything about who made up the TNJS, where have you got Elijah Jones from ?. The link is a guy called Oscar Bucky Buchman, who owned record industry companies/labels etc.in Baltimore at the same time as Ron Bollon the Tangeers producer. Buchman also started Newark Records who recorded the TNJS. Al Stroman, Joe Anderson, Barry Higginbotham, James Gost and Elijah Jones. The Soul Harmony Singles book references Elijah Jones as TNJ's lead singer. “She’s Not Ready” was not copyrighted until March 196& and was plugged in billboard in May 1968 under the distributors info. It is also in a radio chart of some sort for that year in April. It only just predates the Tangeers. The info above is on 45cat. 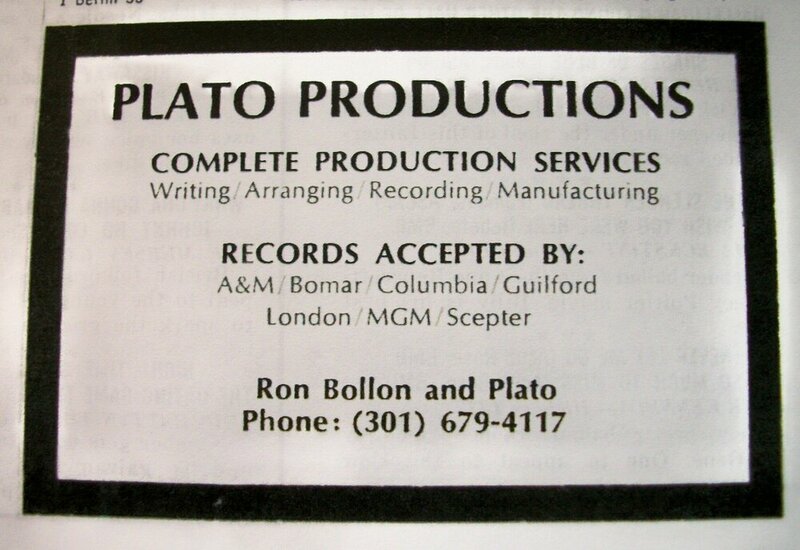 My guess is Ron Bollon and Plato did the production at their own company and leased the two sides to Okeh. Fair enough but that still doesn't prove the Tangeers were not also the TNJ's. Both seen to be involved with people on the Baltimore scene and both seem to have connections to New Jersey via Bucky Buchman. I think the two line ups given say otherwise, at least until they can be disproved? I would imagine the people concerned were involved with plenty of groups. Do we know if the TNJs went to Baltimore or Bucky etc to Trenton, the latter looking at the various writings. Then who is Greg Jamerson who appears on the video ? I haven’t watched mate, only got me phone st the minute and hard work on that. Need to charge laptop too. Dodgy? Do you have the link? There is another as well for 233. Dodgy if you ask me at first glance. last group before they disbanded. So the TNJ's line up also changed over the years, holy moly this is a complete nightmare !!!!!. Instant Funk look to be still around on Facebook, I'm not, so i can't contact them. Maybe someone else could and ask them about the TNJ's and possibly the tangeers too. Oh Dear. what have I done Don't you love it though !!!! and remember we are all creating history "Nearly Forgotten"
Yes there was a Bradley Recording studios acetate of one of their O'Keh singles on eBay a few years ago. I did think of bidding on it so I could put it in my book, but in the end didn't for some reason. Again, where books come in useful Part 54 . "Baltimore Sounds" lists the Tangiers / Tangeers as initially: Cora Boykins, Bobby Covington, Richard Quarles, Earl Beale, and Bill Hagie. Boykins was later replaced by Elaine Jones. By 1970 the group disbanded and Quarles and Jones became Over Easy (no recordings that I know of). The TNJs are a different group from Trenton and were led by Elijah Jones and, as well as their own 45s, did back up vocals for various Philly records including Bunny Sigler. They are on his "Love train" for example. Instant Funk (also from Trenton) are a different group again (they too did back ups on Philly Records). They started as Music Machine. In that incarnation they actually backed up the TNJs on some of their recordings. I have a TNJs record from 77/78 (quite obscure), which further shows that they were separate groups. It is possible, but merely speculation, that one member of the TNJs could have been in Instant Funk at some point, since they were both from the same town, but I have seen zero evidence of this. Elijah Jones is documented as being in both groups, he also recorded as E-Jon on Apex records out of Trenton, and as Elijah john on Keylock/Key records a NY label. But Elijah wasn’t in the Tangeers, nor were any of the TNJs or Instant Funk according to any of the documented material we have. We are just getting sidetracked. But Elijah wasn’t in the Tangeers, nor were any of the TBJs or Instant Funk according to any of the documented material we have. We are just getting sidetracked. I agree we are but I have found this so now we can get back to the Tangeers (in fact I think we have covered it now ) thanks for everyone's input, you should be proud making history. Neither of those articles are correct the TNJS recorded 4 singles and the one said to be on Cameo was actually on Chess. Can you inform me where that is? The other link is Discogs search, for Instant Funk, I'm on the mobile can't seem to copy that link. Just a short question. Does somebody know where the name "Tangeers" comes from? They were The Tangiers before they became the Tangeers. Possibly the same group with the Jetsons (Pumpkin & Date). The Pumpkin one though is said to be Charlie Rich sped up? Maybe they were named after a nightclub, popular name at one time, or after something in a movie? Maybe Steve can shed some light on this? Upon looking the Tangiers on Decca look like they are the Hollywood Flames. Yes the same Tangeers group with the Jetsons (Baltimore Sounds book) - apparently the two groups performed together locally at various gigs, so guess it made sense to put out the Date 45. As to why they were called the Tangiers, no idea, they formed in 1955. Turks (Cash) and the Satellites (Class) are basically all the same group ! I think there were a few more aliases also. They were The Tangiers before they became the Tangeers. Possibly the same group with the Jetsons ﻿(Pumpkin & Date). The Pumpkin one though is said to be Charlie Rich sped up? Maybe they were named after a nightclub, popular name at one time, or after something in a movie? Maybe Steve can shed some light on this? The Decca group consist of Bobby Byrd and Earl Nelson. Pretty sure none of the Tangiers on other labels are the same group as our Baltimore group. Does anyone know if the Ron Bollons mentioned in the 2 pics are the same person? I think that's a fair assumption, Bollon produced a record on the Guilford label, for a group called Gross National Product, the group included Nick Barker who was the arranger on the Tangeers records. 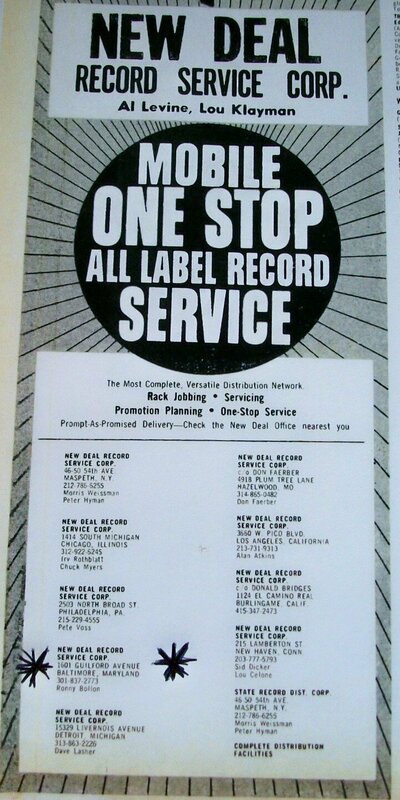 The Guilford label was owned by Oscar 'Bucky' Buchman, who owned another distributors called Redisco One Stop also on Guilford Ave. Guilford had 2 releases by B.B. and the Oscars, both produced by Buchman. 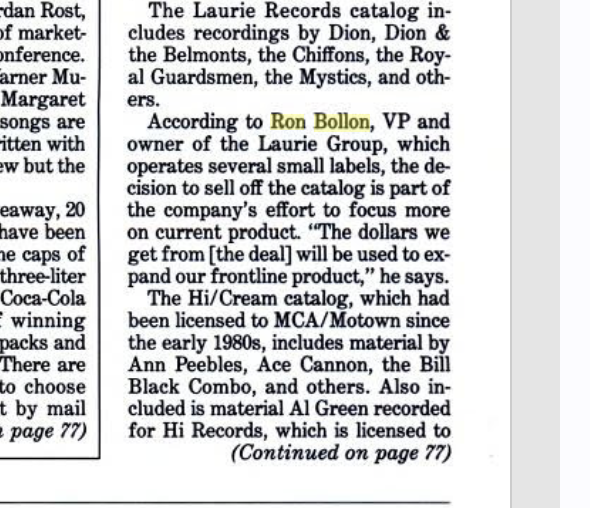 I think Bollon also had something to do with Newark records, Bollon produced on the label, and the TNJs recorded on it, which was why I wondered if the Tangeers and TNJ's may be connected, as there were strong links back to Baltimore. 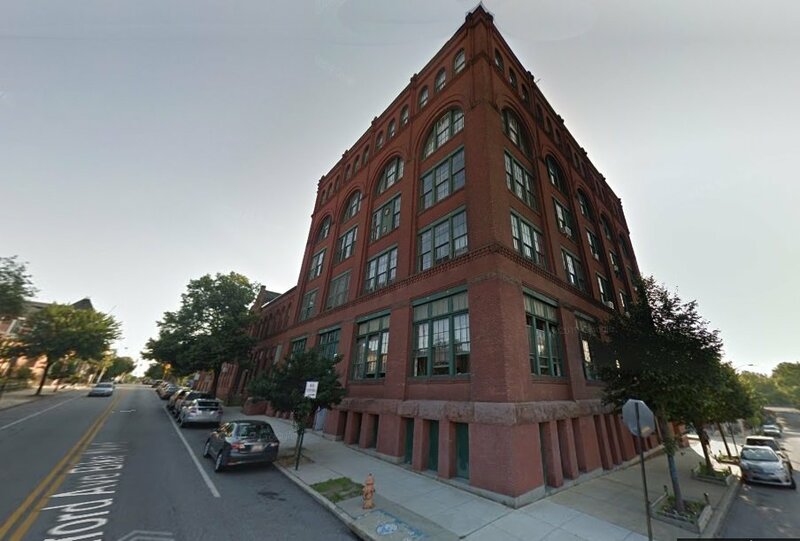 This is the building on Guilford Ave (Balto) where New Deal Record Service Corp was based (#1601). After them, it was occupied for many years by Weant Press Incorporated (a printing outfit) and then sold off to a group of artisans / craftsman who make & sell their wares out of the place. It looks more than suitable as the base for a record distributor (loads of storage & office space). Bradley's Studios wasn't too far away (a bit further east & north of this location). Doesn't look like the building that housed the studio still exists. 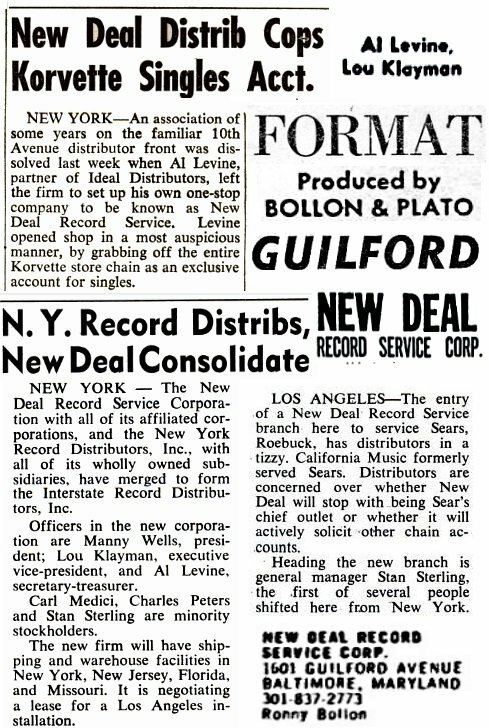 Al Levine also spent many years working in the record biz … Seems he had been part of New York based Ideal Distributors in the 50's but broke away from them to start up NEW DEAL RECORD SERVICES in the early 60's. From an original base in New York, that organisation expanded and set up bases in a number of cities. Seems Baltimore was one of the later bases they had (after New York; New Jersey; Florida; Hazelwood, Missouri & LA). They morphed into Interstate Rec Distributors in 65 but the larger outfit went bust in 1966 taking Rochelle Park, NJ based Garden State Rec Dist and Florida Rec Dist / Sunshine State Dist down with them.